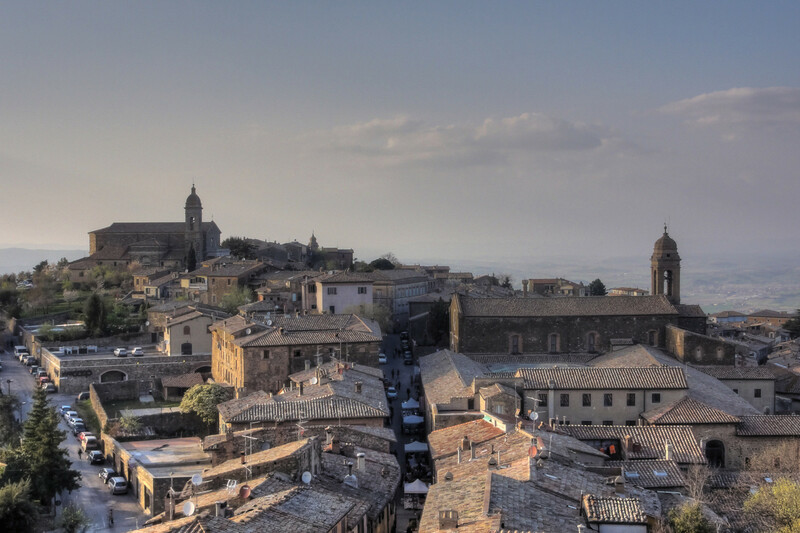 Cortona, with its artistic heritage and its breathtaking panorama, is located close to important cities such as Florence, Arezzo, Siena, Perugia, Montepulciano, Pienza, Montalcino and Assisi. 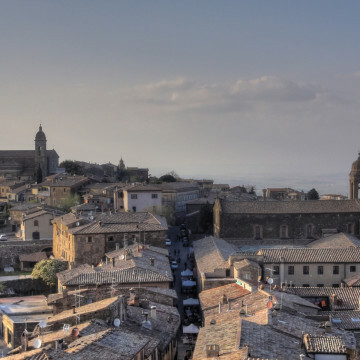 As it was for the Etruscans, Cortona today finds itself in a strategic position that allows you to reach important artistic centres within a short distance. Florence (120 km): Considered the birthplace of the Renaissance and universally recognized as one of the cradles of art and architecture, and renowned as one of the most beautiful cities in the world, thanks to its numerous monuments and museums, including the Duomo , Santa Croce, the Uffizi Gallery, Ponte Vecchio, Piazza della Signoria and Palazzo Pitti. 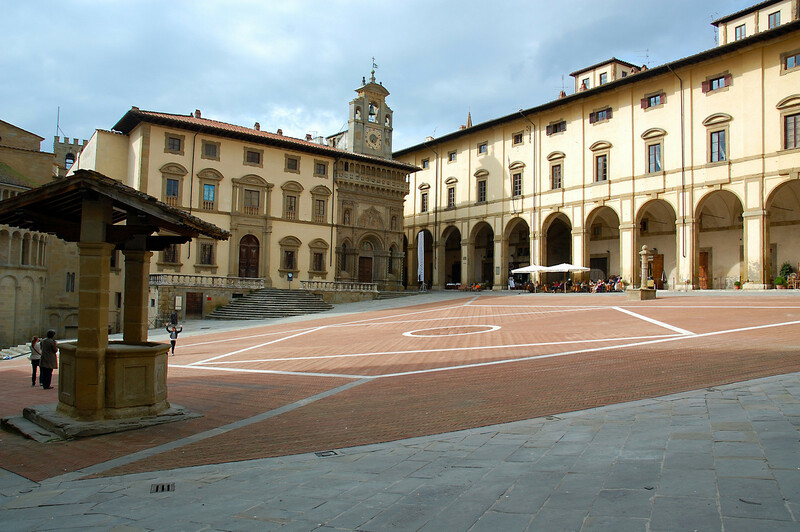 Arezzo (30km): Arezzo is located in the south-east of Tuscany and is at the centre of four beautiful valleys: the Tiber, Casentino, Valdarno and Valdichiana. The artistic itinerary of the city has elements of great value: the Romanesque Church of San. Maria della Pieve (XII-XIII Century), Piazza Grande. The Crucifix of Cimabue (XIII Century) in the church of San Domenico; the sky of frescoes depicting the Legend of the Cross by Piero della Francesca (XV Century) in the Basilica of San Francesco. 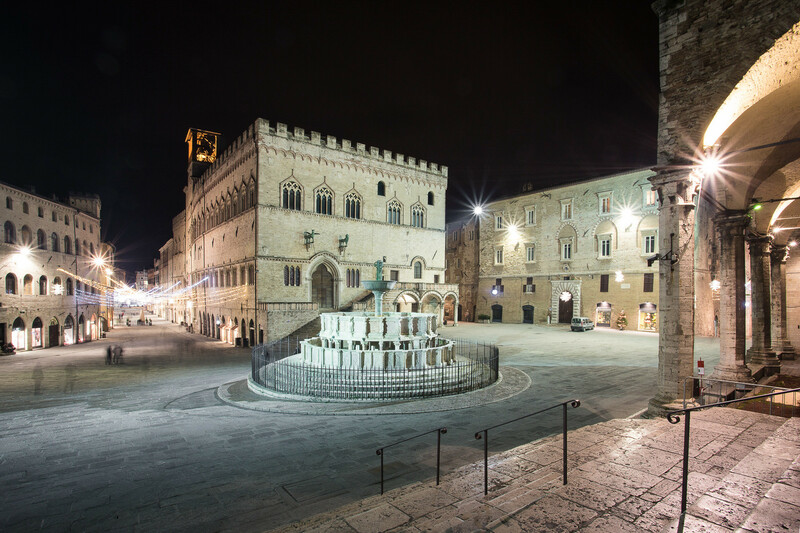 Montepulciano (35km): Montepulciano is known mainly for its imposing Renaissance buildings, for the the elegant beauty of its churches and for the "Nobile di Montepulciano DOCG" wine. 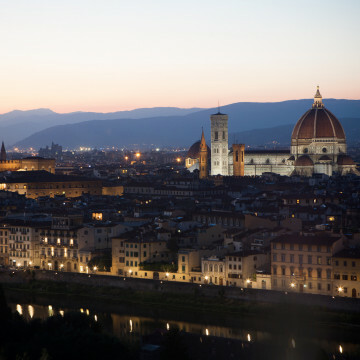 The city centre is developed along a road that climbs the hill to reach the central square, Piazza Grande, located at its top. 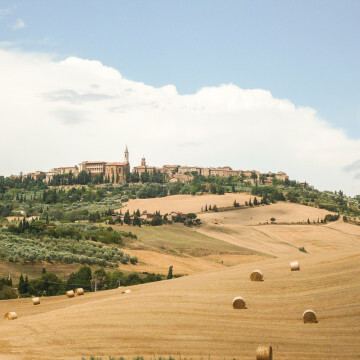 Pienza (45km): Pienza, a small town of Siena, and a rare example of a Renaissance town brought to completion. It is probably the most renowned centre and major artistic importance of the Val d'Orcia. The historical centre was declared a World Heritage Site by UNESCO in 1996. A great part of the important artistic-historical heritage of Pienza is concentrated in the picturesque square dedicated to Pope Pius II. 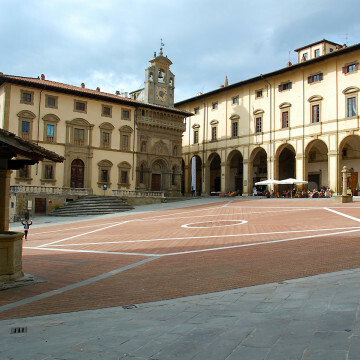 His projects, entrusted to Bernardo Rossellino, were only partially completed, but today remain one of the most significant urban design rationale of the Italian Renaissance. 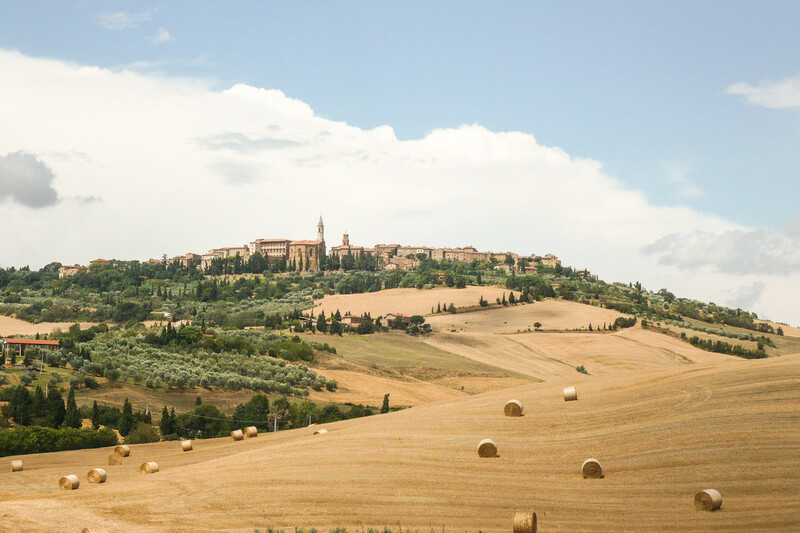 Pienza is also known for its pecorino cheese, the only cheese seasoned, as by tradition, in oak barrels for at least 90 days. 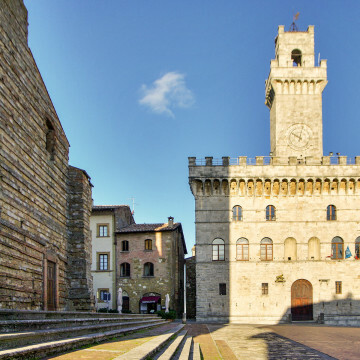 Montalcino (65 km): Montalcino, of ancient Etruscan origin and, surrounded by woods and vineyards, offers its famous local products such as wine and honey. 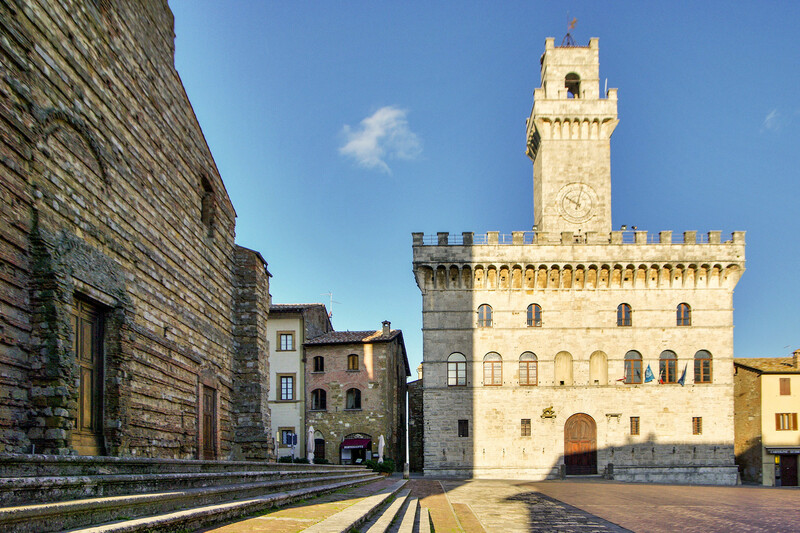 Montalcino is located at the centre of one of the most important crops of grapes. The territory, in fact, is celebrated for the presence of Sangiovese vineyards, from which we get the famous Brunello di Montalcino wine, and which are also used for the production of two other DOC wines: the red of Montalcino and Sant'Antimo. 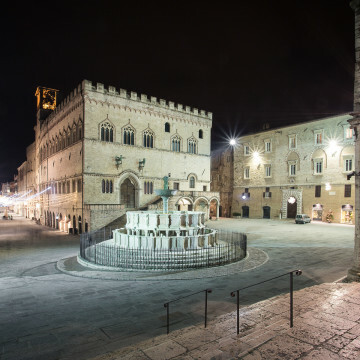 Siena (70km): The city is universally known for its landscape, considerable historical and artistic heritage, its substantial stylistic unity of medieval furniture, as well as for the famous Palio. 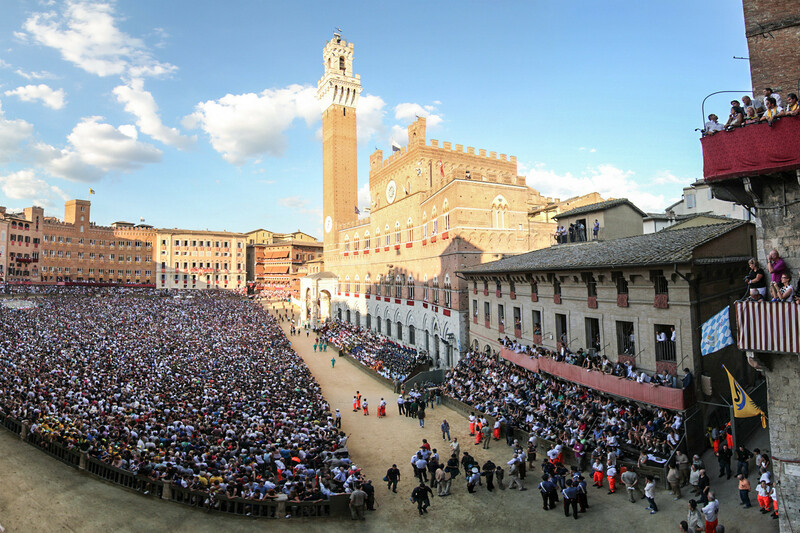 The Palio of Siena is a competition between the districts of Siena in the form of a horse race of medieval origin. 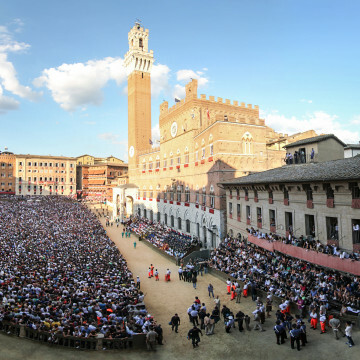 The “carriera”, as the race is traditionally called, is normally held twice a year: July 2nd the palio is run in honour of the Madonna di Provenzano, and August 16th in honour of the Madonna Assunta. For these merits, UNESCO awarded the historical centre as a World Heritage Site in 1995. The Monte dei Paschi di Siena bank, founded in 1472, and therefore the oldest and longest working bank in business has its office in the city. 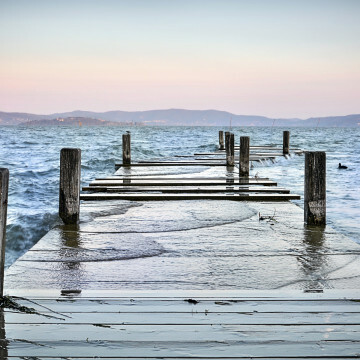 Castiglione del Lago – Lake Trasimeno (18km): Castiglione del Lago is on a headland on the western shores of Lake Trasimeno. 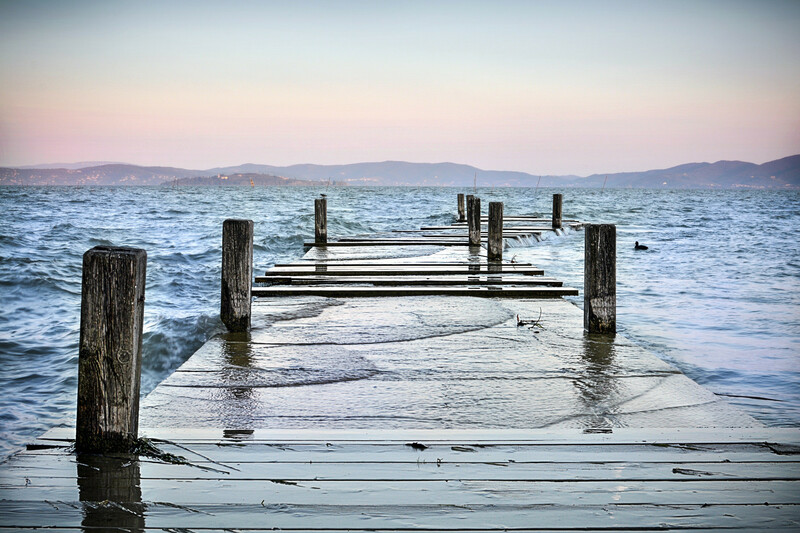 Castiglione del Lago sits on a hill, which in ancient times was the fourth island of Lake Trasimeno (the three existing islands are Maggiore, Minore and Polvese) before lowering water levels and the consequent creation of an alluvial type plain. Perugia (50km): City of art, rich in history and monuments, founded by the Etruscans, and cultural centre of the region of Umbria, tourist destination and university location. Perugia is a typical example of a medieval city with many monuments, such as the Etruscan walls, Piazza IV Novembre which is found in the centre of the city, and the Fontana Maggiore dating back to the XIII century and built by John and Nicola Pisano. 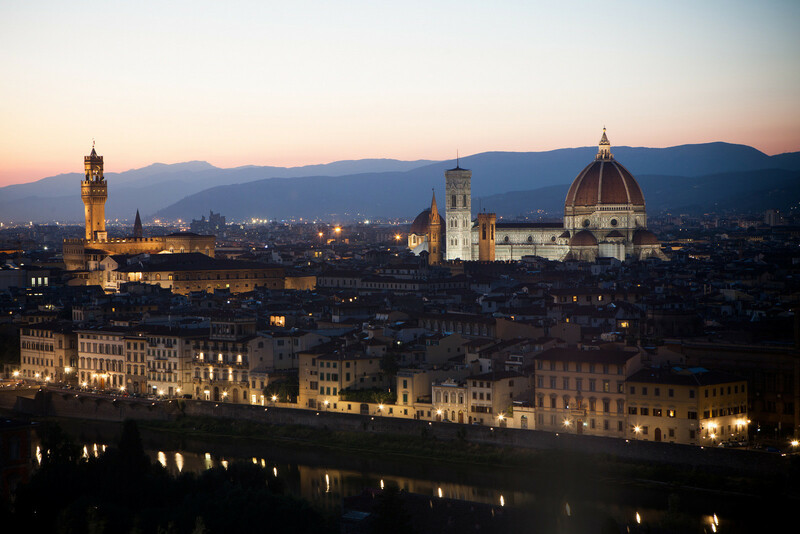 Umbria Jazz is the most important festival of Jazz in Italy, and one of the most important in the world. The festival has been held in Perugia since July 1973. Eurochocolate is the European chocolate festival which has taken place in the city of Perugia since October 1973. Assisi (70km): Is known for being the city where St. Francis, patron saint of Italy was born, lived and died, and also St. Chiara. Assisi sits on the western slopes of Mount Subasio, where it dominates a fertile plain, at the centre of which stands the imposing Basilica di Santa Maria degli Angeli. Assisi is the city of Peace and ecumenical meeting place of world religions. Assisi, intact and with its medieval aspect coloured by the white and pink of its typical stone, lives and gives life to all of the intensity of Franciscan spirituality and the great saints who have blessed his land.